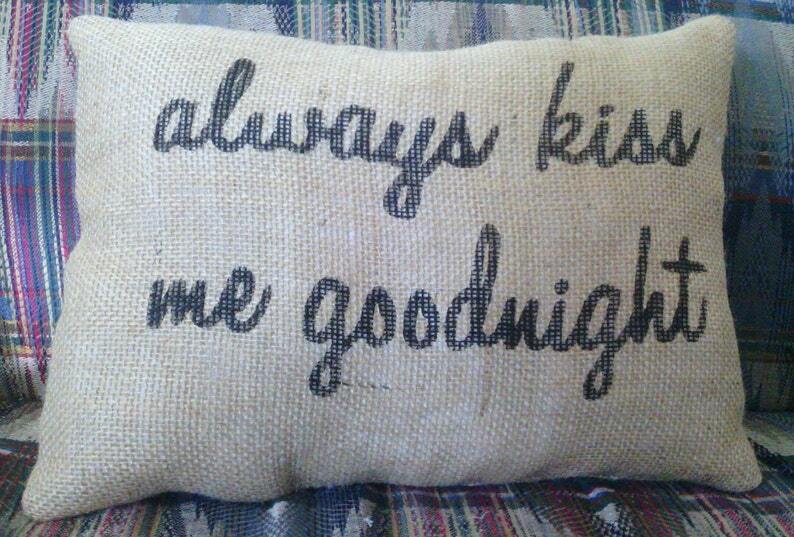 Always Kiss Me Goodnight Pillow Burlap Stuffed Pillow Rectangle 16" x 12" is made with a high quality burlap and lined with cotton muslin. I have lined this pillow so that no white fiberfill shows through your pillow, this gives your pillow a very sturdy feel. 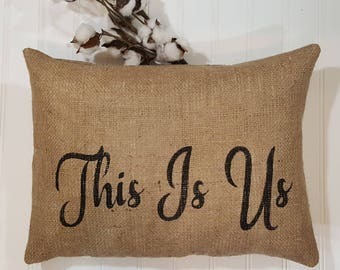 This throw pillow would look great on your bed showing you care for one another! Always Kiss Me Goodnight letters are painted black on the front of the pillow with sayings.